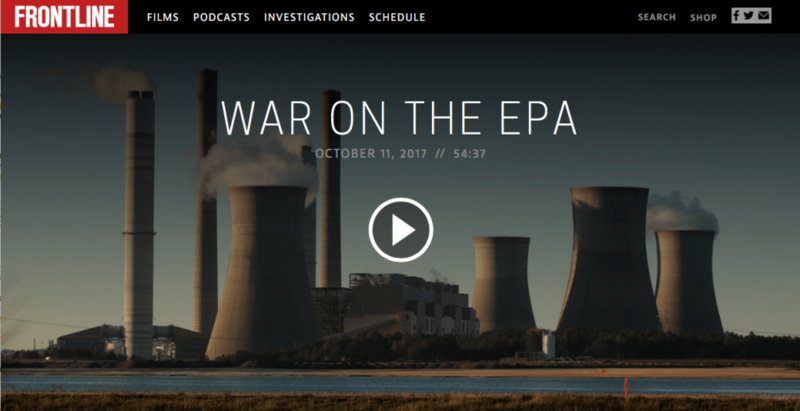 This page includes a selection of news articles, podcasts and videos about what EPA does, and the agency's accomplishments over time. We've tried to select resources that are likely to be valuable as reference materials over time. In the 1960’s, the American public looked around at the environment—polluted rivers, smoggy skies—and decided something needed to be done. By 1970, the blooming environmental movement had an official voice in the government: the Environmental Protection Agency. But what can the agency actually do, and how has its job changed with our changing environmental challenges? Guiding us through the brief, eventful history of EPA is Stan Meiburg, former Acting Deputy Administrator of EPA under President Obama. The Environmental Protection Agency employs more than fifteen thousand workers and spends eight billion dollars a year. The Trump administration thinks the EPA is too big and doing too much. The agency’s new leader, Scott Pruitt, has been undoing much of President Obama’s legacy on climate change, refocusing the EPA on a more conservative agenda. We’ll look at what these changes mean for the EPA and the environment it was established to protect. Listen to ‘The Daily’: Toxic Chemicals at the E.P.A. 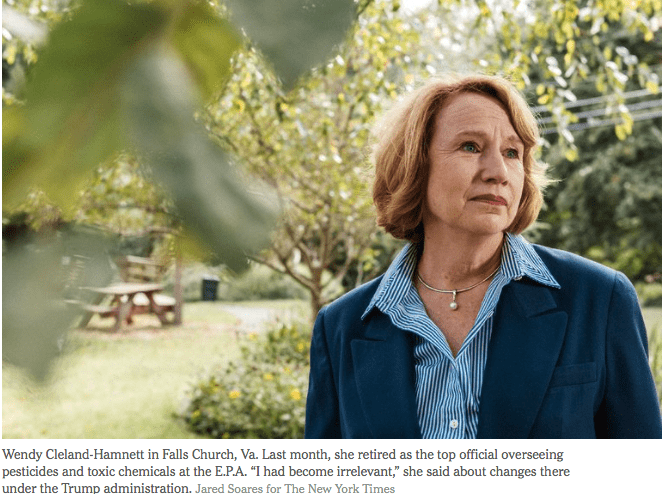 Wendy Cleland-Hamnett, a former Environmental Protection Agency official, fought for years to protect American consumers from toxic chemicals found in everyday products. Nancy B. Beck, a scientist who worked for the chemical industry, saw these efforts as overregulation by the federal government. This is the story of the E.P.A. under President Trump, as told by the shifting powers of two women. 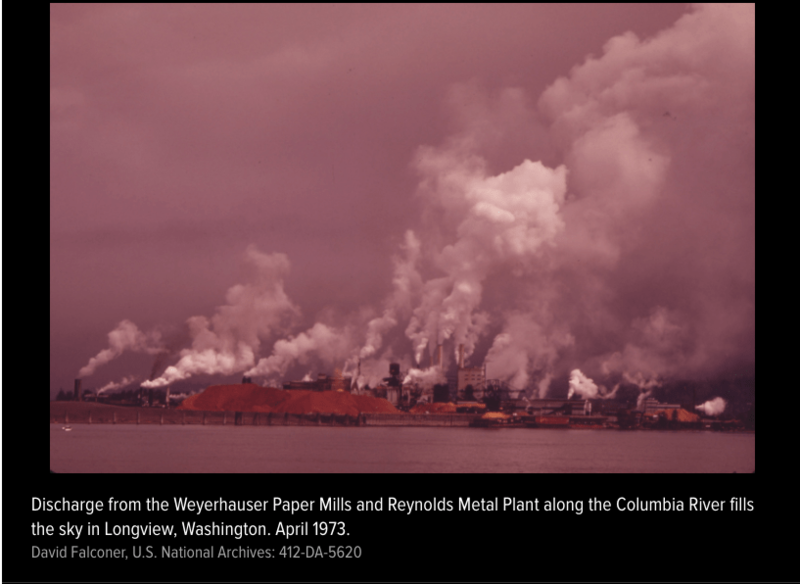 smokestacks from Heritage Thermal Services in East Liverpool, Ohio. Heritage incinerates hazardous waste at this facility. The Times built a database of civil cases filed at the E.P.A. during the Trump, Obama and Bush administrations. 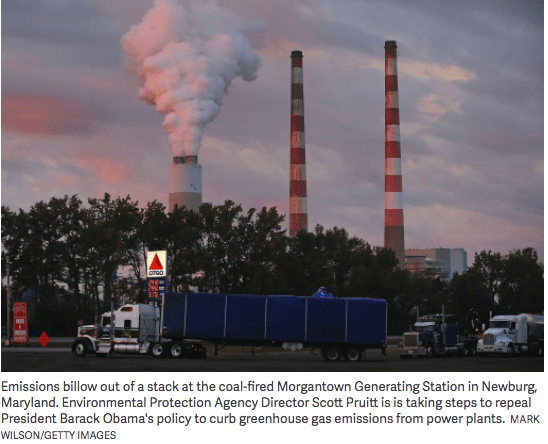 During the first nine months under Mr. Pruitt’s leadership, the E.P.A. started about 1,900 cases, about one-third fewer than the number under President Barack Obama’s first E.P.A. director and about one-quarter fewer than under President George W. Bush’s over the same time period. 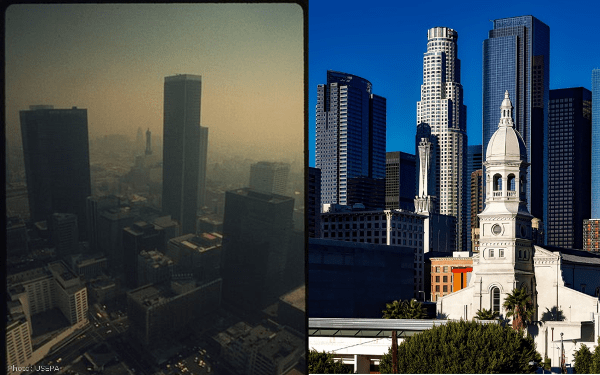 Los Angeles in the 1970s and now. 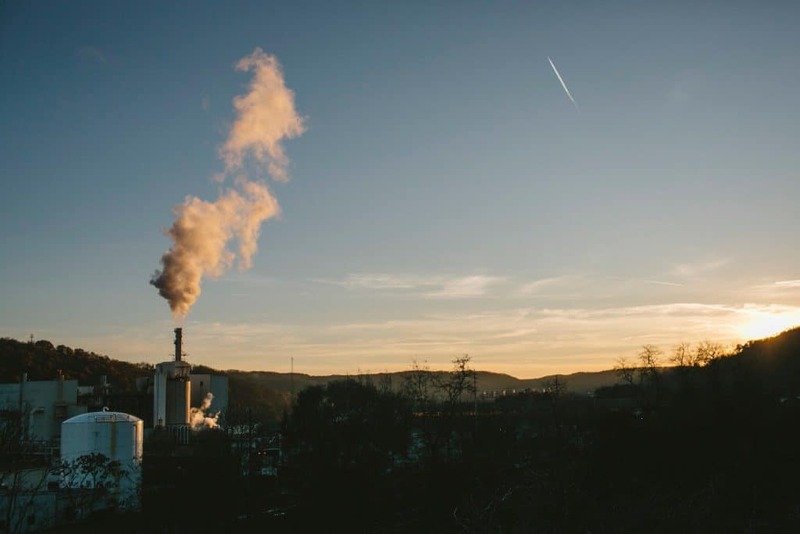 What does it take to get from dirty to clean air? Learn here. From the Emmett Environmental Law and Policy Clinic, Harvard School of Law. Over the past year, more than 700 EPA employees have quit their jobs or taken retirement buyouts. According to Steve Hopkins, who worked at the EPA for 15 years, that’s unprecedented. Betsy Southerland is one of the EPA employees who left the agency last year. She laments the way Administrator Scott Pruitt and political appointees cut career EPA employees out of major policy decisions. Environmental regulations are just part of what the EPA does to help communities, says Mustafa Santiago Ali, who quit his job at the agency in March after serving as the head of the EPA’s environmental justice program. Agency employees also build trust with marginalized communities who need help dealing with environmental contamination. “That's why we need to have a strong EPA. Because when we don't, we weaken our country,” Ali told VICE News. “We have to address these public health issues and these environmental issues, if we truly want to have our country to be all that it's supposed to be.” To find just how the EPA has been doing in Trump and Pruitt’s first year, VICE News gathered around a campfire with four employees who left the agency in 2017, and one current union representative. The result was a frank discussion between former federal employees who worked at the agency for decades — fueled by a marshmallow roast.